Aspen Ideas Festival: Are the founding fathers overrated? David Rubenstein, co-CEO of the Carlyle Group, says America's founding fathers were talented and courageous people, who deserve all the credit they get for putting the country together and creating a durable constitution. During the American Revolution, George Washington, Thomas Jefferson, John Adams, James Madison and Benjamin Franklin all understood that they were committing treason and would be killed if they failed or were captured. "So, the idea that these people came together and created a country by winning a war, that's pretty impressive," Rubenstein said. The fact that they were able to create a Constitution that we still consider and use today is even more impressive. But for all their strengths they could not figure out how to deal with America's biggest original defect: slavery. "It wasn't a few people at the top, it was tolerated by everybody," Rubenstein said. "The people in the North recognized it was morally indefensible, George Washington and Thomas Jefferson knew it was morally indefensible, but they didn't think they could change the system." So at the time of the Constitutional Convention, nobody touched the topic in order to ensure Southern states would join the union. Rubenstein concludes that we'd be hard-pressed to find such a remarkable group of leaders today. Even so, we should not ignore this serious flaw Washington, Jefferson, Madison, and Franklin all share: Their inaction regarding the atrocities committed against slaves and Native Americans. 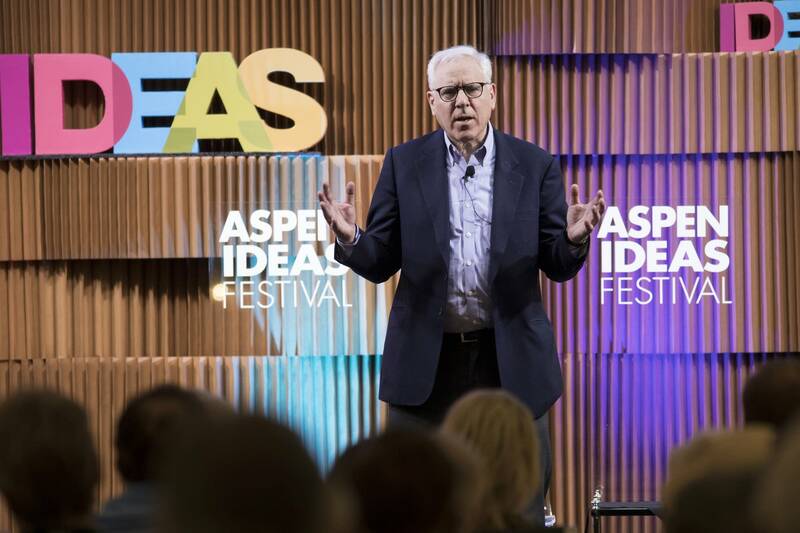 Rubenstein gave this talk June 29, 2017, at the Aspen Ideas Festival in Colorado and titled it, "Are the Founding Fathers Overrated?" Rubenstein is probably best known for his civic and historical activities, including being a regent of the Smithsonian Institution and chair of the John F. Kennedy Center for the Performing Arts. The first few minutes Rubenstein called an "appetizer" before the main speech, and he focused on President Kennedy because 2017 is his birthday centennial. To listen to the lecture, click the audio player above. • Can DNA help us grapple with the past? • Has democracy run its course?